Ahead of an away trip to Brentford on Wednesday night, one Aston Villa player who will be hoping to start is Andre Green. The winger, who was recently recalled by Dean Smith after enduring an impressive first half of the season on loan at Portsmouth, was influential in Villa’s enthralling 3-3 draw with Sheffield United on Friday night. The game looked dead and buried as a Billy Sharp hat-trick saw the Blades surge into a 3-0 lead just after the hour mark. Green was then brought in in place of Jonathan Kodjia, and in the most extraordinary fashion, the winger rose highest to net the equaliser for Villa with just seconds to play. The 20-year old looked really bright when coming off the bench on Friday, after putting in an impressive display, the winger will be very hopeful of earning a starting berth, as Dean Smith returns to Griffin Park on Wednesday. This could in turn hand a frustrating blow to Jonathan Kodjia, who was replaced by Green on Friday night. The Ivorian, once again, looked isolated out wide, and really didn’t make the impact that everyone knows he’s capable of. 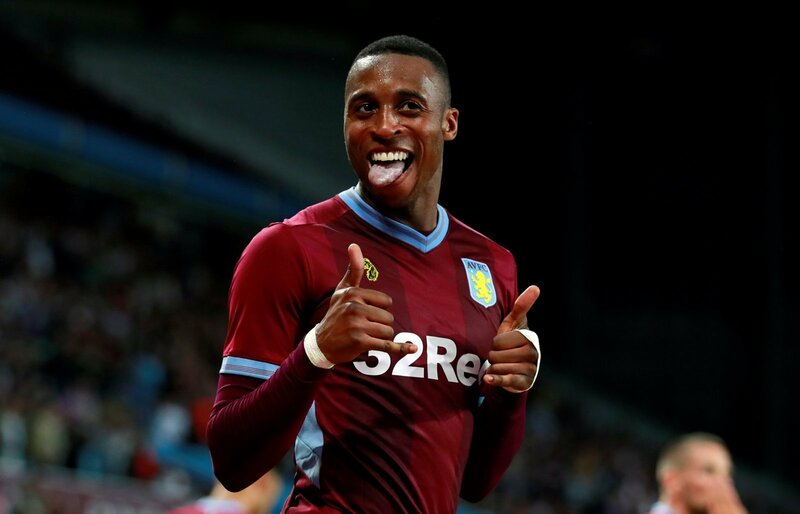 It’s been a frustrating campaign for Kodjia – after falling behind Tammy Abraham in the pecking order up front, the 29-year old has had to feature out wide, where he has looked lost on more than one occasion. The forward has fallen out of favour on more than one occasion this season too, and looking back, he will have surely been desperate to return to former club Angers SCO in January, a move that was reportedly blocked by Villa on deadline day.